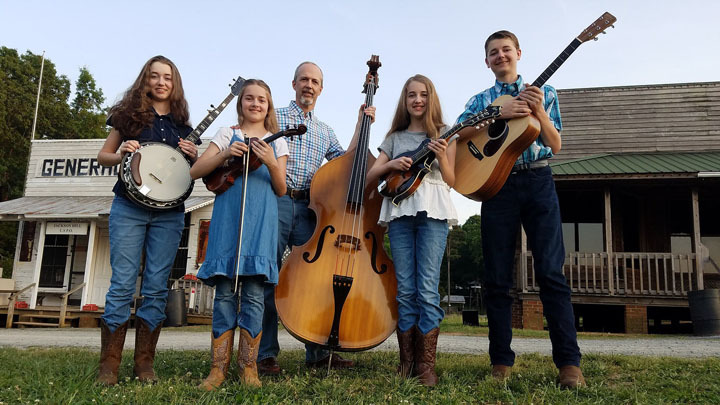 Mountain Highway is an authentic young family band steeped in the traditional bluegrass and gospel music that was originally made famous by icons like Bill Monroe, Flatt & Scruggs, and Ralph Stanley. The band is comprised of four sibling singers who play banjo, fiddle, mandolin, and guitar, with their father playing upright bass. The teens are often heralded for their tight family harmony. Mountain Highway hails from Lynchburg, Virginia, but spends much of its time traveling extensively to perform at popular music venues in several states. A few of their notable appearances have taken place at: Doyle Lawson & Quicksilver Fest (NC), HoustonFest/Galax (VA), Jerusalem Ridge Celebration (KY), and the WindGap Bluegrass Festival (PA).